Fits GM TH250, 350, 375, and 400 automatic transmissions, Ford C4 and C6 automatic transmissions, Dodge, Chrysler, Plymouth, AMC Torqueflite A727 and A904 automatic transmissions. Shift indicator window display for standard forward pattern valve body. 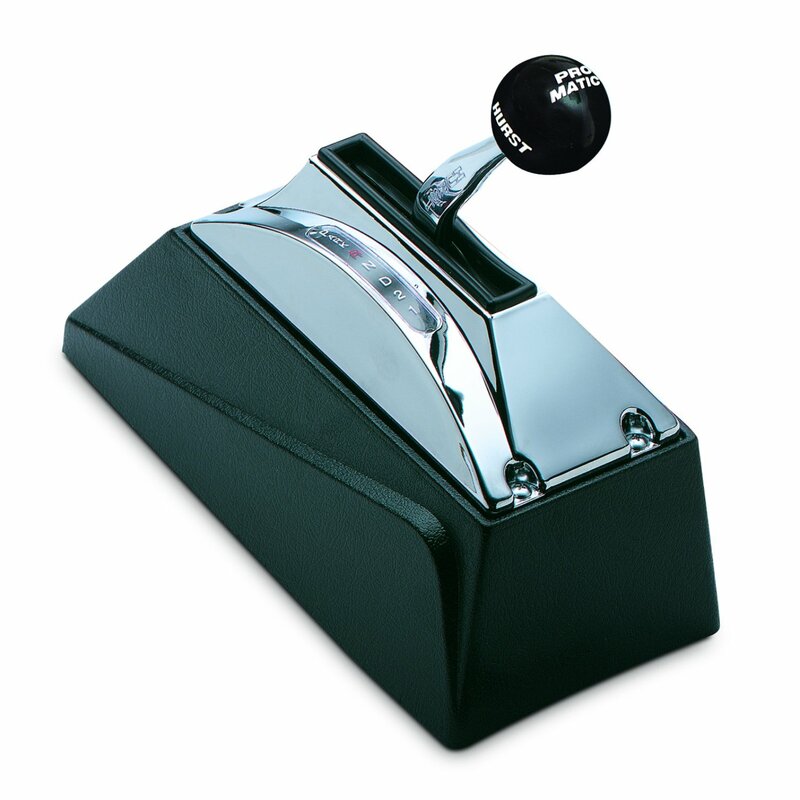 The Hurst Pro-Matic 2 ratchet-action shifter with its chrome-plated stick and black knob is quality engineered for years of precise, trouble-free operation. Once the shifter is installed, the textured console and brilliant top cover that can be trimmed to fit any floor contour integrates the shifter with the interior. While easy on the eyes, this shifter is not all about looks. On the street, you will enjoy the ride as you freely tap the stick from gear to gear. If you decide to transfer your beauty of a machine to the track, give it all you've got because this shifter is built to handle the most powerful shifts and the special positive reverse Loc/Out meets NHRA and IHRA technical requirements. This shifter comes complete with all the hardware required to make installation a breeze including a 5 ft. long heavy-duty shifter cable and instructions. Also includes a neutral safety and back-up light switch assembly.